March 11th is fast approaching! Many parents have recently asked what the upcoming Virginia SOL for Writing in Grade 5 will be like. While I don't really know what questions will be asked, I want to take this opportunity to inform you of the skills the students will be asked to draw upon. Most importantly, we do not want to develop a sense of test anxiety! The tests are rigorous, but those students who THINK through the tests seem to succeed. 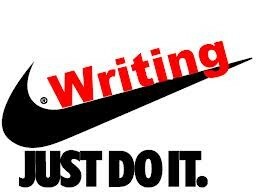 All tests are accomplished online with the first day (March 11th) focusing on grammar and writing organizational skills and the second day (March 12th) concentrating on composing a well written short paper based on a given prompt. Miss Wilson, our student teacher, and I will be reviewing all grammar requirements in the coming weeks. It would be grand if you could stress this at home as well. Some of recognizing good grammar can be made into a game. How many of us truly say we ain't got no bananas? Double negatives are a no-no! Along with recognizing the grammar and writing organizational skills, the VASOL testing now includes "technology enhanced items" or TEI. The students have had some exposure to these type items with the mid-year diagnostic tests. Those who were in Virginia last year also have prior experience as these type questions were included in the end of year tests for reading and math. In a nutshell, students need to recognize all acceptable answers to a question. The multiple choice questions do not always have just one correct answer. The students also need to be able to drag and drop answers into the appropriate boxes on the screen such as organizing words alphabetically in a list or rearranging events into proper sequences. They may need to decide on appropriate punctuation and drag the correct type of punctuation into little boxes where they should be. Yes, there are boxes where commas do not go. I hope this little preview of things to come will assist you in helping your child prepare for the upcoming VASOL. I have confidence that each of the students has been giving tremendous effort toward mastery the Grade 5 essay. We have seen some unbelievable essays! The students are comfortable with writing on the computer and know how to drag and drop with the best of them. We all can use a little boost in grammar, however, so I thank you in advance for being proactive in reviewing this with your student. If you have questions, please ask! We're not going for The Pulitzer Prize, but we want your child's accomplishments and successes to be captured. a) Recognize and use complete sentences. b) Use and punctuate declarative, interrogative, and exclamatory sentences. c) Capitalize all proper nouns and the word I.
d) Use singular and plural nouns and pronouns. e) Use apostrophes in contractions and possessives. f) Use contractions and singular possessives. g) Use knowledge of simple abbreviations. i) Use commas in the salutation and closing of a letter. j) Use verbs and adjectives correctly in sentences. c) Use the word I in compound subjects. d) Use past and present verb tense. f) Use commas in a simple series. h) Use apostrophes in contractions with pronouns and in possessives. i) Use the articles a, an, and the correctly. j) Use correct spelling for frequently used sight words, including irregular plurals. punctuation, sentence structure, and paragraphing.